Android anker Battery energy portable battery charger ravpower RavPower Element 10400mAh portable battery and me! RavPower Element 10400mAh portable battery and me! I got intouch with Randy over at RavPower because I wanted to be able to provide something different to our Canadian Android users. We've all seen Anker making a push in the Canadian market and most of the normal users out there have no clue about these accessories. This is me showing the community at large that there's plenty of options. This is the Element from RavPower.com and it's whooping 10400mAh. I'm telling you, it will blow your socks off. Now like any portable battery there is out there, you have different types, class, power and longevity of them. All sorts of things you need to take into account when your looking for such accessory. Follow me in this little adventure of mine and see for yourself how this little device fairs in the real world use. Before I go further in my experience and how I feel about it, why not take a look at the specs sheet that comes with it? The device itself is about the same size as my wallet but ways ways more with it's 227g. 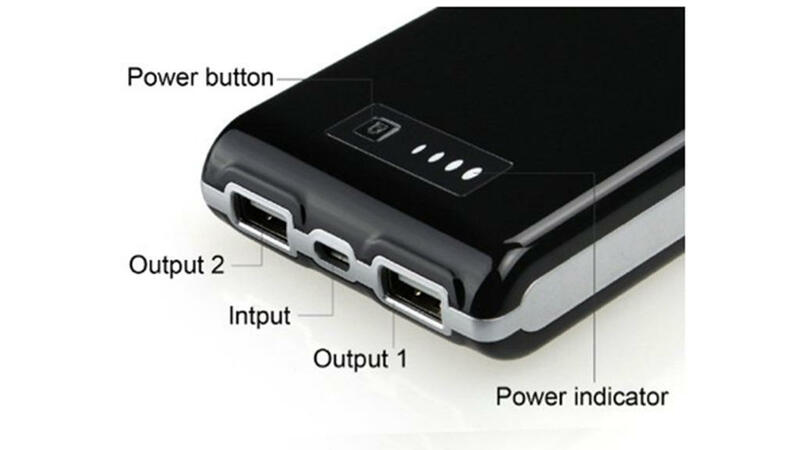 You have 1 premium Lithium ion battery for a total power charge of 10400mAh and 2 connectors with a 2,1A port and 1.0A port. This will allow you to charge up phone, tablet and other devices you may carry with you without a hitch. Make note that this model is the RP-PB07 from RavPower not to be confused with other models. Now that we got the specs out of the way, how about we run through how I used it? I'm usually busy running around the city a lot and I'm not in a central location or capable of charging my devices in once session. 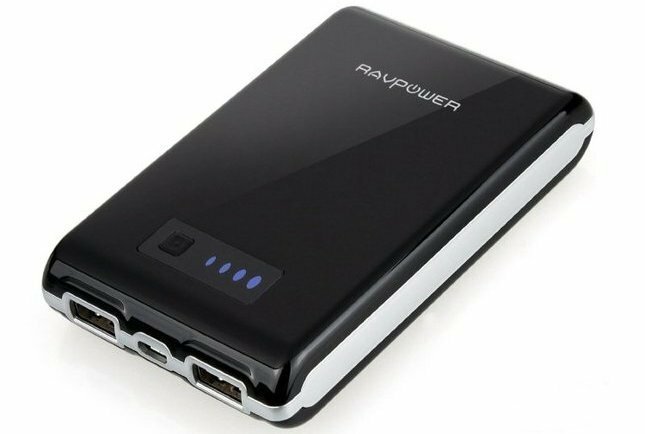 Having the RavPower in my pocket, coat or even in my backpack I can just charge up while let's say I sit on the transit until I get to my destination. I have 3 phones to work with. My own personal phone my HTC One, a work phone Blackberry Bold 9900, Galaxy Note 2 and a Galaxy Tab 2 7.0. You get the idea of what I'm running around with right? Often enough I'll need to juice and still keep running around and the RavPower Element has just done that, it kept me going and going and going. The RavPower has been able to juice up all my devices and it kept me going for 2DAYS!!!! Imagine if I was just using this for my HTC One, I could probably last a week before needing a charge from an outlet. This is what I figured I'd do before summer, setup the RavPower in my backpack in one of those pockets I never use for an iPod and then wire 2 cables for the port and the AC in. With that completed, I'll be able to house everything I need. I just need tu pack in 2 set of 6 foot cable and BAM done deal. I may throw in additional adapters just in case. I'm going to find other use for the RavPower Element as we move into spring more and with summer around the corner, I'll need to stay juiced up. While I'm sitting here and raving about the RavPower I noticed that there's a sale on Amazon.Ca, 40$ for the 10400mAh for the exact same model. An offer you can't really pass up for the price.